Coach lands on its side in crash Jump to media player Nearly 50 people are hurt, five seriously, when a coach overturns near Norwich International Airport, police say. Ten people have been taken to hospital, including five with serious injuries, after a coach overturned near Norwich. 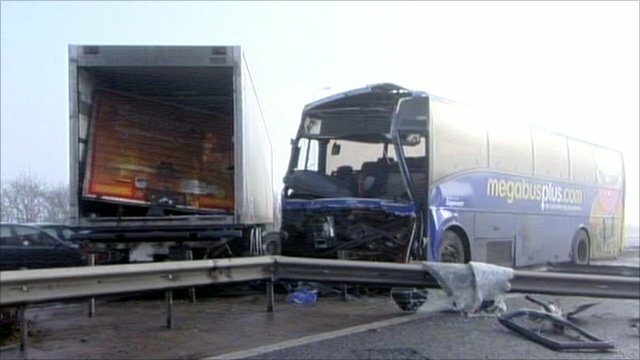 48 passengers and a driver were on the coach, which police said was the only vehicle involved in the accident. 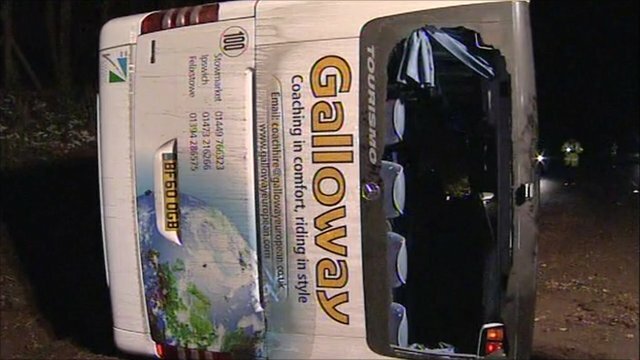 The BBC's Alex Dunlop took a closer look at the scene of the crash.